Well... when you are considering it as a permanent fixture in your home and plan to spend some doh-ray-me on it! I have been doing a little home refresh over the past few months and my latest idea is moving around some of our furniture to create a more spacious feel in our living room. Now don't get me wrong, it's not a bad living room. In fact, it's quite nice! But when I initially designed the space and purchased the furniture, I didn't measure.... whoops. Thus, I ended up with 2 couches that are both too big for the space. Now the main white couch is staying put, as my husband claims it's all he has.. touch dramatic but one must compromise. So our chesterfield is out. Now I love this chesterfield and couldn't bare to see it being sold off like last season's Prada's (I actually keep my Prada's forever but you know what I mean). So I have moved the beloved chesterfield to our master bedroom and decided to put 2 chairs in its place. The chairs I have as place holders are ones that I love and had recovered years ago. But they are ultimately too busy. Great chairs but they are better in their original spaces and overall they are too busy for here. So the only sensible thing to do is to BUY NEW CHAIRS! I tend to customize my furniture by taking it to my local re upholstery guy but this time round, I may just stick to something off the shelf. I also tend to lean toward statement furniture.... and I am debating on whether I want statement chairs here. So here is the round up of what I am considering. First off and probably my favorite - a pair of vintage Milo Baughman velvet and brass chairs. 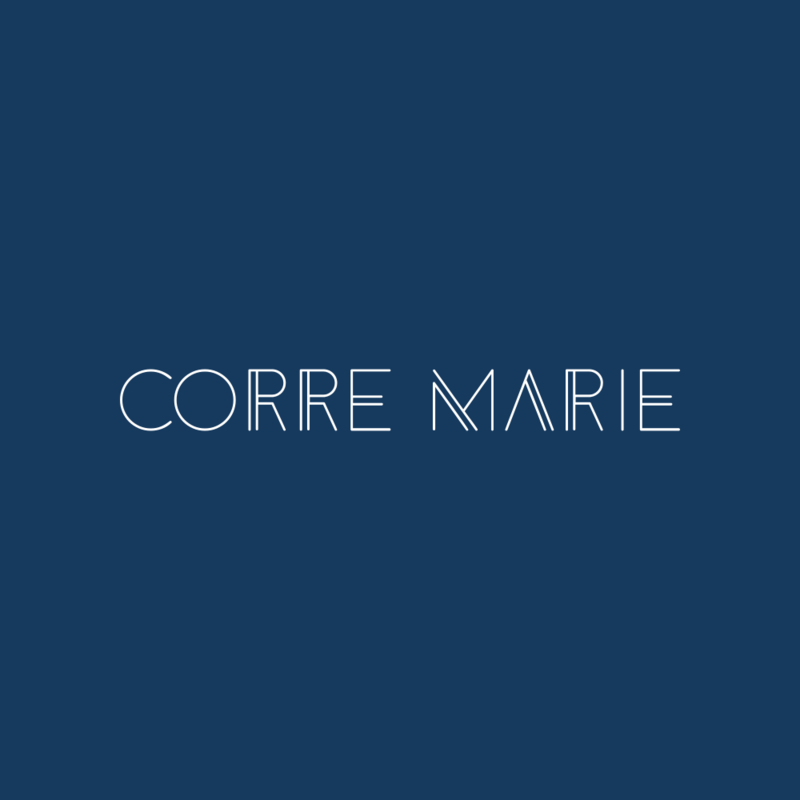 I would go with a dark navy blue velvet for the following reasons: it would pull from my antique Corre Marie rug and toddler stains would make no difference. A pair of vintage Milo Baughman velvet and brass or velvet and chrome chairs. Next is a pair of vintage leather Parisian club chairs. But, my thoughts on these are - are they going to be too big? Do I buy vintage ones or do I go down more the Restoration Hardware route and get that super comfy reclining version in vintage leather. Or do I go for a classic George Smith type look. Clearly this could be an entire blog post on it's own... but you get the idea. Next up on my accent chair round up is something that is a little more beachy boho and lighter in feel while still being incredibly beautiful. These chairs by Palecek are pricey but total statement pieces. 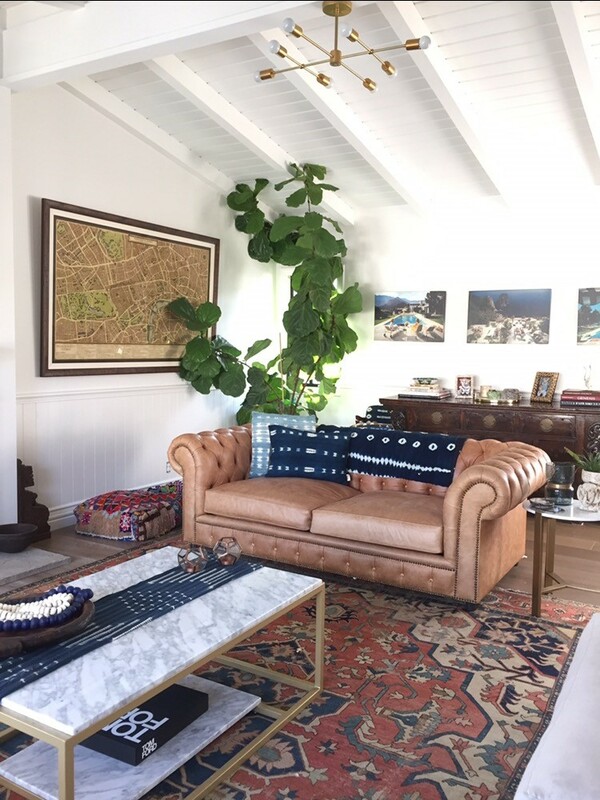 We live in Newport Beach and they would certainly lend a more coastal vibe to my home, which I have purposely strayed away from, but I feel like they are beachy without being obviously beachy. Pair of coastally (yes i made that word up) inclined Palecek chairs. And last but not least... these chairs by Anthropologie. They are vintage inspired and look incredibly similar to Emily Henderson's chairs she used to have in her old living room. 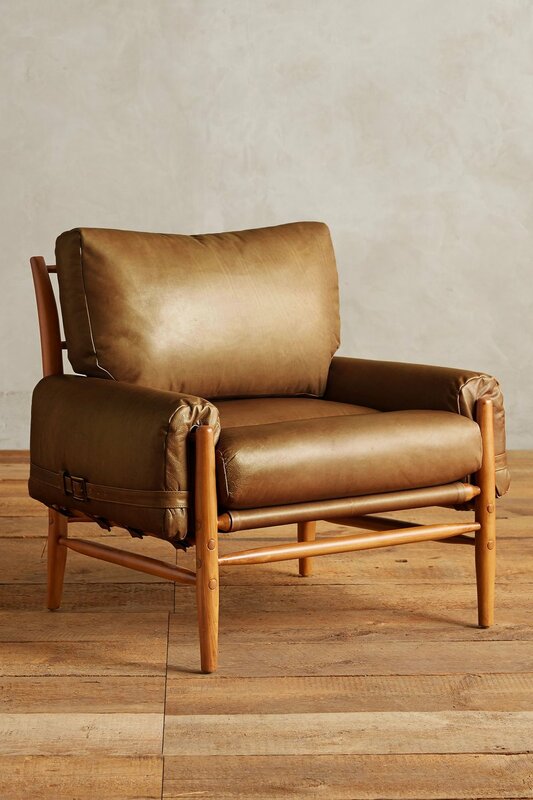 I could either get a vintage version or this new version, the Rhys Chair from Anthropologie. But.. are they too similar to my teak Hans Wenger replicas that I have on the other side of the coffee table. Maybe. So there we have it folks. These chairs are about as different as they can get and clearly I don't have a particular 'look'. They are all totally different vibes, materials and genres. So that is my round up for accent chairs for my living room. I will keep you posted on the direction we take. But let's be honest, if you are going to spend a chunk of change on your furniture (which I recommend if you are able to as they should be seen as investments) then you don't want to just go out and start burning up the credit card. Look at your space. Move some stuff around. Get a feel what for the spaces needs and do some research.